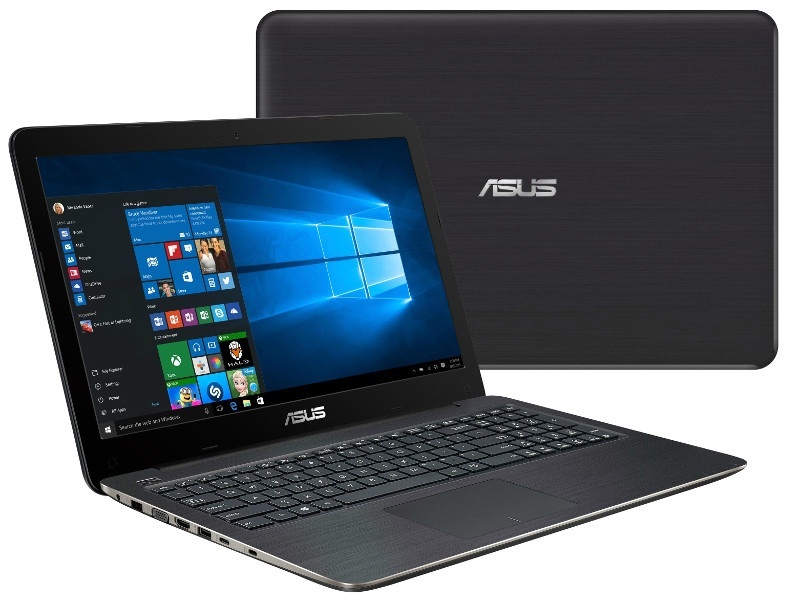 Taiwanese consumer electronics giant Asus has launched two new laptops in India, the A540 and R558. The notebooks bear USB Type-C ports, are priced at Rs. 20,990 and Rs. 43,990 respectively. Notably, both the laptops run on Free DOS, which means there is no pre-installed Windows 10 on board. Both sport a VGA webcam, a 1TB 5400RPM HDD, and SD card reader support. The laptops also come with one port each of USB 2.0, USB 3.0, and USB 3.1 Type-C. Starting with the ASUS R558, it comes with a 15.6-inch full-HD (1920×1080 pixels) LED back-lit display. It is powered by a 2.3GHz Intel Core i5-6200U (2 cores, 4 threads, 2.8GHz Turbo frequency, 3MB SmartCache), 4GB of DDR4 RAM (upgradable to 8GB), Intel HD Graphics 520, and 2GB of DDR3 Nvidia GeForce 930MX (N16S-GMR). The notebook packs a 2-cell Li-ion battery pack. Other connectivity options on the laptop include a headphone and microphone combo jack, Ethernet port, VGA port, a HDMI 1.4 port, Wi-Fi 802.11 b/g/n, Bluetooth 4.1, and a DVD-RW drive. The Asus R558 is available in Black and Brown colour variants. It measures in at 382x256x25.5mm, and weighs 2.1 kilogrammes. Coming to the Asus A540, the notebook features a 15.6-inch (1366×768 pixels) LED-backlit display. It is powered by a 1.7GHz Intel Core i3-4005U (2 cores, 4 threads, 3MB SmartCache) processor with Intel HD Graphics 4400. The notebook is paired with 4GB of DDR3 RAM (upgradable up to 8GB), and packs a 3-cell Li-ion battery pack. The Asus A540 will be available in Black and Silver colour variants. it measures in at 381x252x27.2, and weighs 2 kilogrammes with battery. It bears the same ports, connectivity options, and optical drive as the Asus R558. Asus has recently also launched three Windows 10 laptops – namely, the ZenBook 3, Transformer 3 Pro, and Transformer 3 – at its Zenvolution event in May. The event also saw the launch of the ZenFone 3, ZenFone 3 Deluxe, and ZenFone 3 Ultra smartphone – varying in different sizes and specifications. All three smartphones don a full metal design makeover, and fingerprint support embedded on the back of the phones. All the models sport an 8-megapixel selfie camera (85-degree wide-angle lens), and support hybrid dual-SIM slots. The rear cameras feature optical image stabilisation and electronic image stabilisation for better handheld photography.